Peter Thiel is one of the most successful American entrepreneurs of the past quarter century; Zero to One is his opus on success. Success is a difficult concept to discuss, because every successful company is unique. Thiel encourages would be entrepreneurs to seek "monopoly capitalism" where you create "the kind of company that's so good at what it does that no other firm can offer a close substitute" (24-5). Unlike government enforced monopolies "[T]he dynamism of new monopolies explains why old monopolies don't strangle innovation...the history of progress is a history of better monopolies businesses replacing incumbents" (33). Thiel condemns stale, conventional, thinking. Unfortunately, there's far too much of it across American society, especially in American business. As he explains: "[E]very moment in business happens only once. The next Bill Gates will not build an operating system. The next Larry Page or Sergey Brin won't make a search engine. And the next Mark Zuckerberg won't create a social network. If you are copying these guys, you aren't learning from them....The act of creation is singular, as is the moment of creation, and the result is something fresh and strange....Unless they invest in the difficult task of creating new things, American companies will fail in the future no matter how big their profits remain today" (Emphasis added) (1). Great fortunes require contrarian thinking. That's why you do something different in the first place. Thiel identifies four cultural factors that inhibit it: incrementalism, risk aversion, complacency, and 'flatness' (97-8). Air B'n'b, Netfilx, and Uber are recent examples of companies that embraced contrarian thinking. They figured out "[T]he best place to look for secrets is where no one is looking" (104). Successful startups usually become 'mature' over the course of 5 to 10 years. Thus, they require a type of long term thinking that is itself contrarian. Thiel asks "[W]hy would professional [Venture Capitalists], of all people, fail to see the power law? For one thing, it only becomes clear over time, and even technology investors too often live in the present" (87). Short term thinking begets bankruptcy. While Thiel's book isn't political, it did provide us with one major insight. 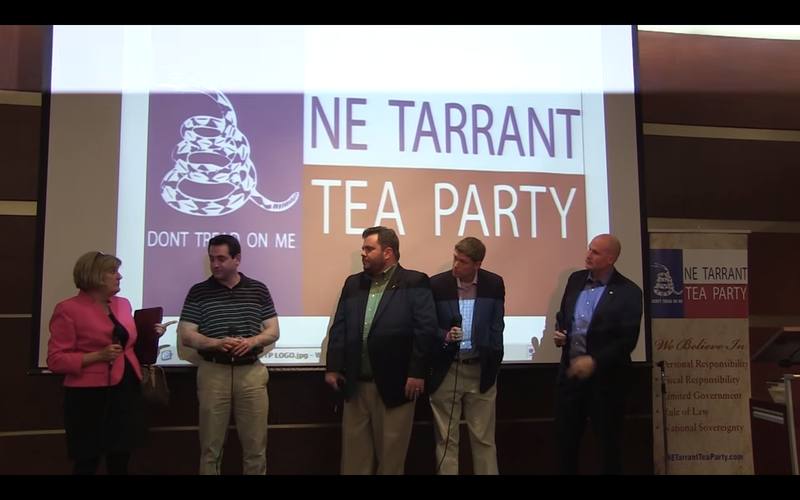 In the realm of politics, the Tea Party is the equivalent of a tech startup. 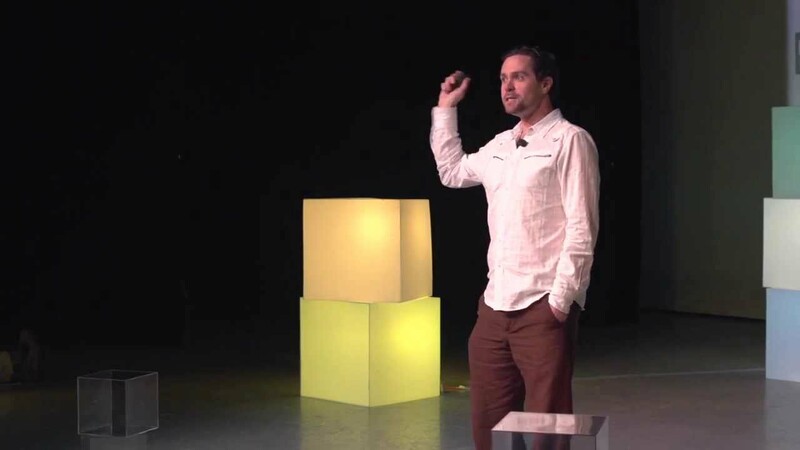 He explains "what a startup has to do: question received ideas and rethink business from scratch" (11). If there's one trait that defines the Tea Party, it's a rejection of the bogus assumptions that have dominated the political process for far too long. The proof is in the ending of the Ex-Im bank and the strongest Republican presidential field ever. When one of the most successful entrepreneurs of the past quarter century speaks, you listen. Peter Thiel details the pitfalls of conventional thinking and the opportunities available to those who reject it. 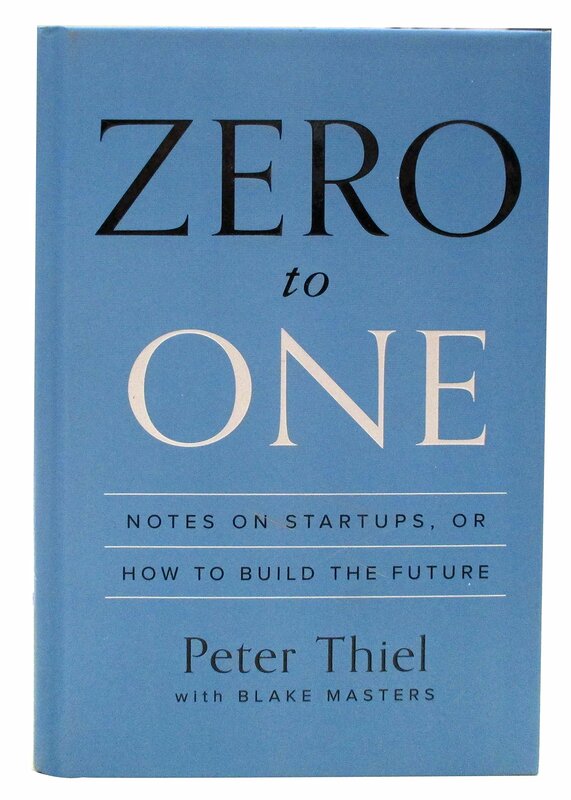 Zero to One: Notes on Startups, or How to Build the Future is required reading for anyone interested in changing the world. "And he said to them, “Collect no more than what is appointed for you." I highly recommend you take 3 minutes and read Ted Cruz's recent comments on the Supreme Court decision. We must step up for states right's and we must elect federal congressmen willing to take every step necessary to defend a state's right to push back against an oppressive and tyrannical federal government. "teaching us that, denying ungodliness and worldly lusts, we should live soberly, righteously, and godly in the present age,"
(Longview, TX) On Monday, House member and Texas State Senate candidate David Simpson announced that he is calling on Governor Abbott to immediately call a special session of the 84th Legislature in light of the Supreme Court’s lawless and unconstitutional redefinition of marriage. And a good report makes the bones healthy." We are concerned about the direction of our nation and state. Though Texas is governing much better than states like California and New York, we missed key opportunities this year. In the 2015 legislative session illegal immigration was not even addressed, major union reform was killed, and the most significant pro-life bill of the session was sabotaged when it arrived in the Texas House. We are witnessing a failure of leadership in prioritizing conservative reforms that the grassroots are calling for. The politicians in Austin are too busy carrying water for special interest groups, while our priorities are ignored. We have done a lot, but I am running for re-election because there is more to be done. Unfortunately, not everyone shares our vision for Texas and my opponent has wasted no time raising money and attacking me in the press. 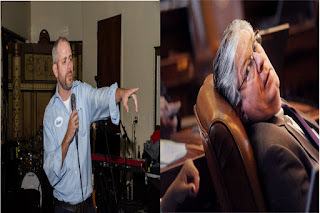 Bottom line: Paul Workman typically sends 2-3 fundraising e-mails in a year; to send two within a week of his opponent's campaign announcement reveals the degree to which Jay Wiley frightens him. OBERGEFELL ET AL. v. HODGES, DIRECTOR, OHIO DEPARTMENT OF HEALTH, ET AL. “With the Obergefell decision, we see the Supreme Court of the United States trespass against the principles that constitute the very foundation of United States: democratic self-governance, separation of powers, and the sovereignty of the states under the Tenth Amendment,” said Rollins. “The contention that the Fourteenth Amendment overturns the Tenth, and therefore validates a remote and imperious judiciary’s revision by fiat of the family law and social institutions of all the states, is contrary to the American system, destructive to liberty, and offensive to common sense. "Whatever one thinks of the marriage question, this is a dangerous decision that only accelerates the accretion of power into the hands of an undemocratic elite." Today's U.S. Supreme Court ruling wasn't surprising. It was par for the D.C. course. However, it clarifies priorities closer to home. Texas has GOT to elect legislators willing to stand up to the federal government. The tenth amendment was a major reason we shifted our political focus from the Federal to the State level. Unfortunately, the last two legislatures ignored it. That must change. We have to plan for the worst. Every decision in the coming months must be made under the assumption that either Jeb Bush or Hillary Clinton will be the next President. Either one will continue business as usual. The pressure coming from Washington is going to get worse. When that happens, the Texas Association of Business will fall in line. When that happens, as currently constituted, the legislature will cave. The most important way to stand up to the federal government is to stop taking money with strings attached. In discussing the state budget, there's a dirty little unavoidable phrase: all funds. "All funds" includes transfer payments from the Feds. The legislature just approved a budget where federal funds account for 32.4%. It's primarily Medicaid. Education is second. Transportation funding (which usually comes with mass transportation mandates) also takes up a chunk. That number must come down. Every one of those dollars gives Washington leverage. Unfortunately, those dollars also beget Austin lobbyists who will fight to the death for the gravy train. At this point, who cares?!? Standing up to the Federal government will require telling Austin lobbyists to pound sand. One specific note on Medicaid: In 2011, there was talk of having Texas opt-out entirely from the Federal Medicaid program. That option must come back into consideration. Obviously, there's no chance this happens if Straus returns. Bottom Line: Today's ruling doesn't change anything. This case was always a long-shot. Once again, we've seen that D.C. won't get us out of this mess. Texans need to make standing up to the Federal government a key priority in assessing legislative candidates. Get to work. In an exceedingly rare if not unprecedented development, a University of Texas System regent has sued the system’s chancellor over access to records. 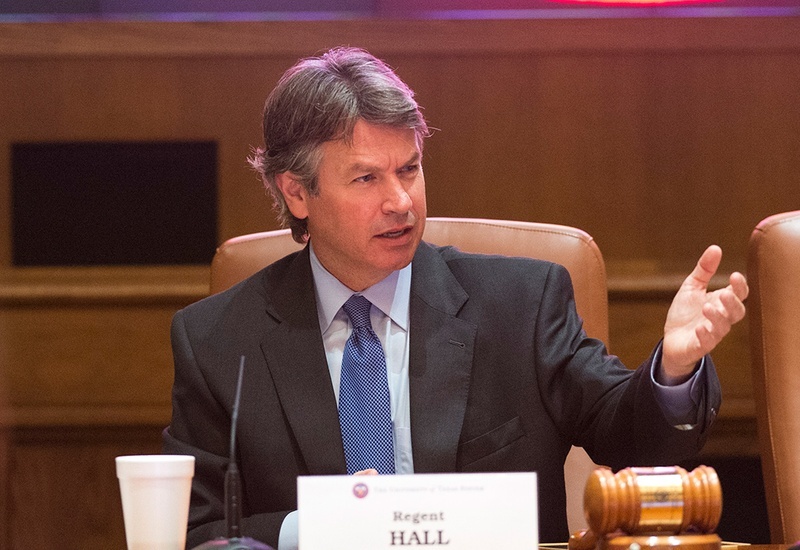 Regent Wallace L. Hall Jr. of Dallas sued Chancellor Bill McRaven in state district court in Travis County in an effort to obtain records, including confidential student information, of an investigation into favoritism in admissions at the Austin campus. McRaven said in a statement late Tuesday that he regrets Hall believes a lawsuit is necessary or appropriate. Hall wants to see emails, interview notes and other materials from a months-long investigation into admissions practices by Kroll Associates Inc. The company found that then-UT President Bill Powers sometimes ordered students admitted, despite subpar academic records, after they had been touted by legislators, regents, donors and other influential people. Read the whole thing here; the Trib has more here. And how, pray tell, did Democrat Joe Pickett receive the chairmanship of the Transportation committee in the first place?!? 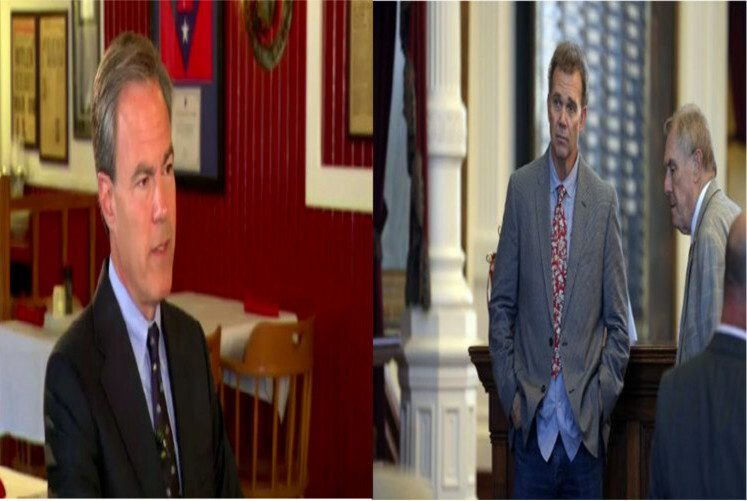 In the Texas House of Representatives, the Speaker appoints committee chairs. Whether or not RPT wants to admit it, the only reason a Democrat committee chair was able to abuse Republican Jonathan Stickland is because a Republican speaker gave him that chairmanship. But what is in the heart of fools is made known." 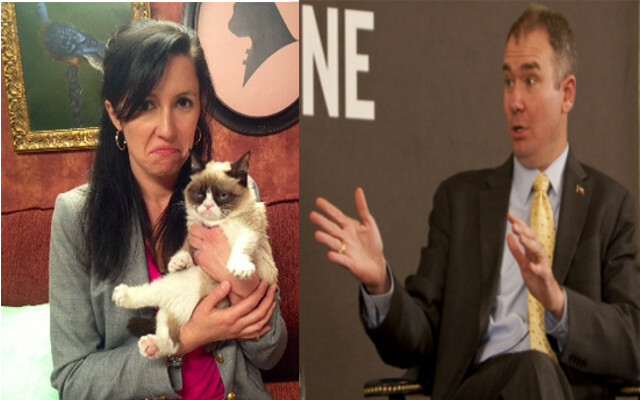 Over the past few days, we've seen the release of the 84th #TXLEGE edition of Texas Monthly's Best and Worst lists and Empower Texans' scorecard; the reactions were revealing. Texas Monthly's heirloom rankings were essentially ignored. While a few people (including this author) congratulated Jonathan Stickland on making the worst list, nobody else said much. The reaction was subdued, even within Austin. Unlike Texas Monthly's subjective intellectual solipsism, Empower Texans data-driven analysis is calculated upon dozens of record votes. Their scorecard is a coherent picture of where the legislature stands on their issues. It's the difference between a scout's opinion and Moneyball. One final note on Texas Monthly's list: it was boring. They could have picked out legislators that at least took interesting stands during the session. Not that'd we'd agree, but where were Gio or Sarah Davis on the best list?!? What about Don Huffines on the worst?!? If you're looking to cure insomnia, the editors explain their picks here. Legacy media's decline is apparent. Lawmakers' votes are a sounder basis for analysis than a gatekeeper's whim. One reflects truth, the other kabuki theater. The 84th #TXLEGE saw alternative media reach a critical mass. One measure will be forgotten by Wednesday; the other will influence voters. Who stray from Your commandments." Bottom Line: Charlie's gonna lose this race. Longhorn Athletic Director Patterson "alienating virtually everyone"
Sally Lehr, one of 158 members of Texas’ class of 1964 back on campus for their 50th reunion last September, asked athletic director Steve Patterson why he wanted to charge them $25 per person to go stand on the football field at Darrell K Royal-Texas Memorial Stadium. Just to relive some memories. “He said it was expensive to allow people on the field. They had to turn on the lights. They had to have people leading the tour and a groundskeeper,” Lehr recalled. “He said if athletics had to pay for all of that, they might have to cut the donation they made to the UT library. But more and more inside the Longhorn community are fed up with what they say is an athletic director who can’t or won’t relate to people and who puts making money or saving money above everything – even Texas student-athletes and coaches, who have seen cuts by Patterson impact them directly. After more than three dozen interviews with those connected to Texas athletics, Patterson, who spent most of his career in the front offices of pro teams (Houston’s Rockets, Texans and Aeros as well as president and GM of the Portland Trail Blazers), is being blamed for misleading football season ticket holders, being disingenuous about funding for a new tennis facility (leading to a coach’s resignation), alienating longtime donors as well as faculty and staff, running off UT’s band director, defying former school president Bill Powers, planting a vicious press leak targeting former basketball coach Rick Barnes and of being more loyal to Pac-12 commissioner Larry Scott than to those at Texas or the Big 12. According to numbers obtained by HornsDigest.com through an open records request, football season ticket holders were being handed a cost increase in 2015 by an average of 21.5 percent – with the Longhorns coming off a 6-7 season and a 5-year record of 36-28. Oklahoma opted not to raise football ticket prices for 2015 after the Sooners went 8-5, capped by a blowout bowl loss to Clemson. Steve Hank, chief revenue officer of Texas athletics, told HornsDigest.com the 6 percent average increase (actually 5.7 percent, he said, but it was rounded up) was based on a formula that involved the value of each seat “spread across” the entire, 100,119-seat capacity of Royal-Memorial Stadium. But when comparing exactly what football season ticket holders paid in 2014, including their contribution to the Longhorn Foundation to retain those tickets, to what they are paying in 2015, season tickets were increased an average of 21.5 percent. Of the 57,233 season ticket holders in 2014, 59 percent (33,695) experienced a season ticket cost increase for 2015 of between 25 percent and 50 percent, records show. While there have been tens of thousands of dollars spent by Patterson on fact-finding trips to places such as Shanghai, China, and Dubai to increase UT’s marketing profile, there has been broad cost-cutting within the department that has directly impacted student-athletes and coaches. * Travel cuts have meant the baseball team taking seven-hour bus trips toTexas Tech, Oklahoma and Oklahoma State, when Texas used to fly commercial to those destinations. OU and Texas A&M fly to every baseball game longer than a three-hour bus ride. * A 737 charter with 50 first-class seats used by Texas basketball since 2008 has been cut from the budget for 2015-16 in favor of less expensive, smaller regional jet charters, sources said. Texas and Kansas were the only B12 schools flying the 737 charters, something former coach Rick Barnes fought for in contract negotiations so KU wouldn’t have a recruiting edge in how the Jayhawks travel. * UT’s perennial power women’s volleyball team - in the Final Four six of the last seven years and national champs in 2012 - had its charter to West Virginia cut for next season, sources said. Morgantown is UT’s most difficult road trip from a time and logistics standpoint. The team will fly commercial, which can add as many as five hours to the trip because the team flies to Pittsburgh and then buses more than an hour to Morgantown. * And after The Masters, a golf magazine contacted Texas about buying an ad to congratulate former Longhorn Jordan Spieth for winning his first green jacket at Augusta National. The money for the ad was taken from the golf program’s recruiting budget rather than athletic department funds, sources said. * Sources said football coach Charlie Strong, who saw his and his coaching staff’s personal ticket allotment cut from eight to four last year, fought to increase the salaries of his eight quality control coaches from $24,000 to $50,000 after last season. Texas has the lowest salaries in the Big 12 for its quality control coaches – even behind last-place football finisher Kansas ($45,000). Strong’s request was denied by Patterson, and six of Texas’ eight quality control coaches who had built relationships with the rest of the staff, left to find better paying jobs, the sources said. * Coaches used to be allowed to go into the athletic dining hall whenever they wanted under Dodds, often to bond with their student-athletes or have a one-on-one conversation. Under Patterson, coaches are only allowed 30 visits per year. If coaches go to the athletic dining hall more than that, they have to pay $10 for each visit out of their own pocket. Sources said this new policy had a negative impact on Danielle Lund McNamara, who stepped down as Texas’ women’s tennis coach last month out of frustration. UT didn’t have a tennis facility this season, and won’t next year, because the previous facility was demolished to make room for a new medical school. Patterson pinching pennies by cutting the number of times a UT coach can go into the athletic dining hall helped gut an already unstable women's tennis program, sources said. "There was no place for Coach McNamara to meet with her team," one source close to the situation said. "Was she going to use her own money each time she wanted to go into the athletic dining hall just to meet with her players? She'd be taking a pay cut. Come on. It's ridiculous." * Texas band director Rob Carnochan just quit to take another job (at Miami) after Patterson cut $250,000 out of the band budget last year, resulting in less travel for the full band and a first-ever $132 fee charged to members to pay for their own practice and travel gear. The full Texas band used to go to every in-state football game. But under Patterson, the full band no longer goes to Texas Tech, a longstanding rival of the Texas band. UT now sends only a “pep band” of section leaders. In 2015-16, the full band will go to the Texas-OU game and to either TCU or Baylor – but not both. Those inside the department say Patterson seems to rely more on the opinion of Pac-12 commissioner Larry Scott than anyone affiliated with Texas or the Big 12. Patterson, who grew close to Scott while athletic director at Arizona State, is a big supporter of Scott’s Pac-12 Globalization Initiative, which includes Texas’ basketball season opener against Washington in Shanghai, China, this November and a proposed football game in Mexico in the near future. Sources said Scott has struggled to find a Pac-12 school to agree to play in Mexico, in part, because of the security risk in taking student-athletes and fans into a country plagued with drug cartel violence. Patterson, however, said last month there’s a better chance of Texas playing a football game in Mexico by 2020 than the Longhorns facing Texas A&M (even though Charlie Strong has said he thinks UT and A&M need to renew their rivalry). Sources told HD Patterson was asked by a member of then-coach Rick Barnes’ staff about the prudence of sending the basketball team to China for a game on Nov. 13 as part of the Pac-12’s Globalization Initiative when Texas was already scheduled to go to the Bahamas for a tournament from Nov. 21-27. Patterson never consulted with Barnes about the China trip ahead of time and has never consulted with Charlie Strong about playing a football game in Mexico, according to sources close to the situation. Many season ticket holders have complained that they would not want a marquee home game against a Pac-12 opponent being played in Mexico instead of Austin. Patterson last month sent an envoy from Texas to Dubai, including Patterson’s wife, Yasmine Michael, who speaks Arabic, as well as Mack and Sally Brown, former Texas tight end David Thomas and former UT fullback Ricky Brown, now with the Longhorn Foundation. According to UT officials, the trip, which cost tens of thousands of dollars, was meant as a fact-finding mission about how Texas could promote its brand in the oil-rich United Arab Emirates. Those inside the department who have had their budgets cut as Patterson continues to spend for his obsession with international marketing/branding say morale is plummeting. Patterson agreed to renew the contract with Sodexo, UT’s catering and concessions provider, for another 10 years with the stipulation that every Sodexo employee servicing the Texas account be replaced. Why? Sources said it was because Patterson suspected someone at Sodexo with leaking to the press in February 2014 that UT was about to start selling beer and wine at spring sporting events. “It was Patterson’s call for a leadership change,” said former Texas basketball player Ivan Wagner, one of the 11 Sodexo employees on the Texas account who were fired. “Sodexo, in an effort to secure the contract, made the moves. The 3,000 faculty and 18,000 staff members at Texas had their football season tickets double in price, when the athletic department blindsided them with an email in the summer of 2014 saying a long-term benefit program was being replaced with a straight 20 percent discount. * Sources say Patterson also defied Powers by continuing to claim $15 million needs to be raised for a new tennis facility when the university set that money aside 10 months ago. More on this in a minute. * Patterson said in an interview with Texas Monthly last September, the city of Austin should help pay for UT’s new basketball arena because the city had gotten a free ride for 30 years by not having to bear any of the costs of the Erwin Center, which is planned for demolition in 5-8 years as part of UT’s new medical school. Afterward, Powers basically apologized on behalf of Patterson and said to Patterson that Patterson should meet with the mayor’s office about any possible partnerships for a new basketball arena, sources said. Patterson had yet to meet with anyone from the mayor’s office as of the end of May, officials in the mayor’s office said. * The sources said Powers also wasn’t happy there were more full-time athletic department employees now (400) than when Patterson was hired (360) in November 2013. Multiple sources told HornsDigest.com 10 months ago Powers made it clear to Patterson that $15 million for a new tennis facility was being deducted from a total of $50 million that athletics was set to share with the central university. Sources said it was important to Powers that the university - not athletics - pay for a new facility because athletics had no say in the demolition of Penick-Allison, which was razed last June. But for months Patterson would never acknowledge the $15 million when asked by HornsDigest.com about the funding for the facility. And, internally, Patterson kept telling everyone in the department every penny had to be raised to pay for it. Patterson has articulated goals with huge financial price tags: $450 million for a new basketball arena … $300 million for endowed scholarships … and at least $180 million to renovate the south end of DKR. But he may be his own worst enemy when it comes to raising money - one of the most important jobs of an athletic director. Ask any athletic director in a Power 5 conference and they'll tell you they are personally responsible for looking after the top 40 or 50 donors to athletics. Multiple sources said Patterson is incapable of that because he lacks the people skills. So more and more people have been hired at Texas to do the fund-raising for him. Multiple sources said Patterson's wife, Yasmine Michael, is now taking a lead role in donor relations. And Patterson has turned to his coaches to raise money - something former AD DeLoss Dodds always discouraged because it often put coaches in difficult positions. That was another reason McNamara resigned as women's tennis coach, sources said. She was having a hard enough time coaching and meeting with her players without a facility to start worrying about having to be the program's fund-raiser, too, they said. Patterson himself has ruined the relationships with at least two donors who came forward with plans to give at least $1 million toward the tennis facility, those donors said. The donors asked not to be identified. But both told HornsDigest.com that they wanted to meet with Patterson about potential naming rights. Both said they had numerous forms of correspondence initially ignored by Patterson's office before working with members of the Longhorn Foundation to set up a meeting with Patterson. Both donors said they had more than one meeting canceled by Patterson initially. And then when they finally did meet with Patterson, the Texas athletic director let them know he was very short on time. "The athletic director - supposedly desperate to raise money for a new tennis facility - tells me he only has 15 minutes when we sit down for lunch?" one of the donors said. "I said, 'I'm sorry. I thought you all were asking me for help.'" The meetings went so badly, according to the donors, they both have vowed never to give any money to Texas while Patterson is the athletic director. We don't have anything else to add. 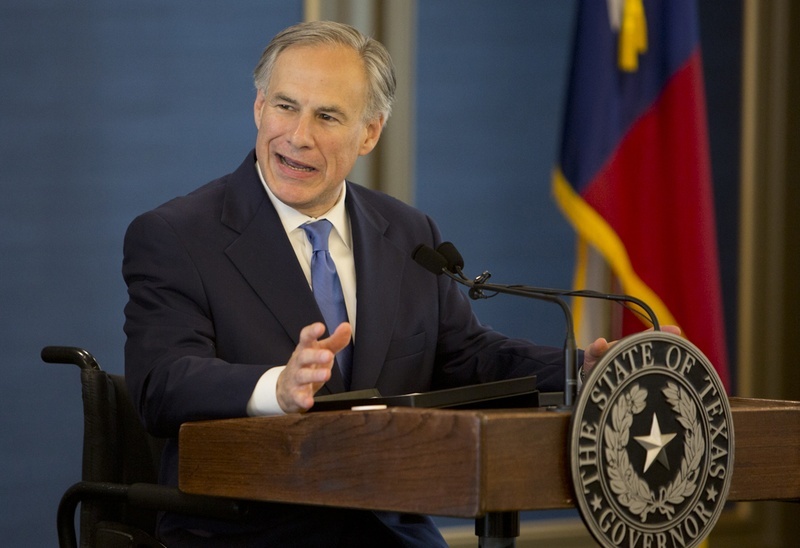 Will Abbott veto anti-Parental authority bill?!? SB 206 extends the deadlines for cases and allows CPS more time to prosecute families in court, but provides no penalties for CPS or relief for the family if CPS fails to meet the deadlines. Not only is CPS now provided an extra six months of time under the bill to prosecute the family on a case that is already supposed to be high priority and timely, it is not even required to meet the deadlines provided in the law. SB 206 unnecessarily allows CPS to delay a visit between parents and their child who has been removed. Originally, CPS had three days to arrange a visit with the parents and their child after removal. The bill extends that deadline to five days without cause. When a child is removed traumatically from a family, extending that child’s time away from family unnecessarily is senseless. SB 206 eliminates the concrete standards by which progress on an investigation is measured. Insuring the quality of an investigation that potentially involves the removal of a child is paramount, and the removal of accountability standards in the process does not protect the child or the family. 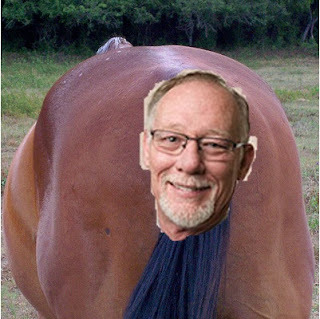 Jim Keffer retired this morning. We're happy to see him go. Keffer's departure, however, does highlight a conundrum. Grassroots conservatives tend to do better running against incumbents than in open seats. While it isn't a perfect correlation, among freshmen Republicans this session, those who defeated incumbents mostly supported Scott Turner; those who won open seat races OVERWHELMINGLY supported Joe Straus. For example: Matt Rinaldi and Tony Tinderholt both defeated incumbents and voted for Turner; Mike Schofield and John Wray won open seats vacated by Straus lieutenants and voted for Straus. It's hard to run against a lobby candidate who claims to be conservative and doesn't (yet) have a record that proves otherwise. That being said, we also don't think the level of churn the leadership team has seen the past couple cycles is sustainable. Bottom Line: Grassroots conservatives have to do a MUCH better job defining lobby candidates running for open seats. In the aggregate, policy matters a lot; individually, it doesn't. Policy tends to move towards centralization. You need something outside the box enough to produce returns, but grounded enough to be feasible. Begin from the existing framework. Traditional public schools are day care. Spot opportunities others won't spot. Have a year's worth of savings and a thick skin. Voice and Exit 2015 comes to Austin this Saturday; learn more and sign up here. Klick - Worked on advance directives bill. Krause - Floor amendment on judicial bypass. Tinderholt - Human trafficking amendment on Border Security bill. Killed texting while driving ban!!! Senate pushed some of his stuff through. Rinaldi - Better than previous sessions, but that's not saying much. Conservative Senate and Lite Gov was key. Passed watered down campus carry bill. Stripped authority from Travis Cty. DA. Killed a lot of terrible legislation. Stickland - Knocked 48 bills off local and consent. "I never thought I would vote for a budget." HB 13 -- Joe Pickett killed his own bill to preserve Red-light cameras. "We didn't address illegal immigration at all." 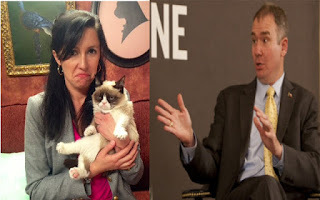 Byron Cook killed pro-life bill, hijacked ethics bill. Am. Laws for Am. Courts: "Should have been a slam dunk." Constitutional carry never got a hearing. "Every single inch we got we fought for tooth and nail." House leadership micromanaged process to run out of time. Paxton makes UT pay for Hall's Lawyer!!! Hall, Huffines give media fits!!! Jimmie Don Aycock: Good Riddance!! !